On a visit to Milan, one of my appointments was cancelled, and after scanning local papers an unexpected option appeared: using archaeological and historical evidence, scientists and wine lovers had re-created a vineyard Leonardo da Vinci once owned, right across the street from the Santa Maria delle Grazie church where he painted The Last Supper mural. Serena Imazio, a grape scientist who worked on the Leonardo project, met me on a busy street that was once on the outskirts of Milan. We walked through a building to a long, narrow garden that stretched back for a few hundred feet. I could see the spire of the Santa Maria church across the street, just as Leonardo would have. “It was a crazy idea in the beginning. I thought, OK, they are all crazy,” Imazio told me. “Just because Leonardo da Vinci was here in the 16th century, it’s impossible to trace back all that story, even using genetics, to find something related to that vineyard.” She’s a biologist who specializes in grape genetics, particularly how grapes became domesticated as the knowledge of winemaking moved across the Mediterranean, from east to west. Imazio took me back to the beginning of the project, long before “Leonardo’s Vineyard” was opened to the public in 2015. Leonardo moved to Milan in the 1480s. In 1495 Ludovico Maria Sforza, the Duke of Milan, commissioned The Last Supper. Leonardo finished the painting in 1497, and the Duke gave him a 16-perch vineyard that year, reportedly as part payment. “Perch” is an old European land-measuring term that dates back to Roman times. It is a little hard to pinpoint the size because the various kingdoms measured differently. One scholar estimated the vineyard was two or three acres, about 165 by 660 feet. Leonardo kept detailed notes about the vineyard in his notebooks, suggesting that it was worth just over 1,931 gold ducats. At the time, a horse cost about 40 ducats, and a government employee was paid about 300 ducats per year. A 16th-century map of Milan shows the vineyard with one tree in the center of the walled garden and additional fields nearby. Leonardo’s property included a small house, either a residence or perhaps a farm building. Imazio said the vineyard gift was important to Leonardo because only landowners could be citizens of Milan at the time. The French invaded the city in the summer of 1499, deposed the Duke, and ultimately confiscated the vineyard, so Leonardo left for Venice. In 1507 the French asked him to return to Milan and formally returned the vineyard property. Leonardo appears to have lived in Milan for a few years before leaving permanently in 1513. He died in France in 1519. His will left equal shares of the vineyard to his apprentice and alleged lover Gian Giacomo Caprotti, known as Salaì, and his servant Giovanbattista Villani. Over the centuries the house fell into ruin. 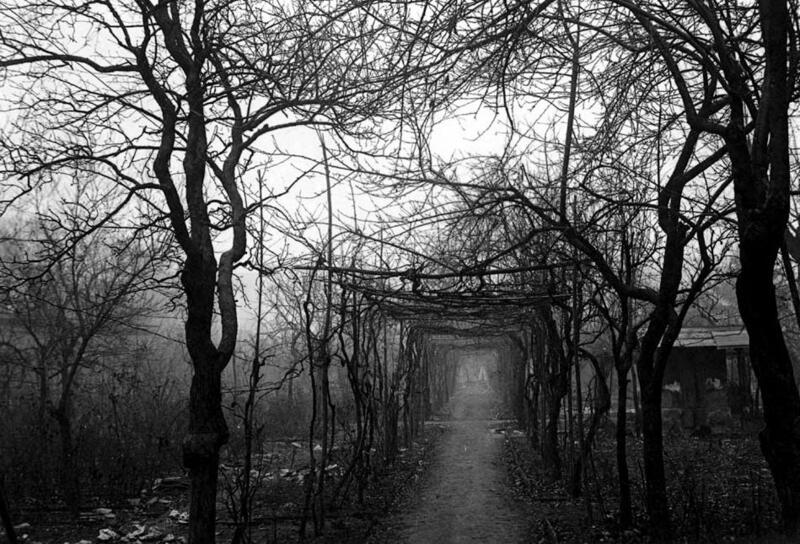 In 1920 a new owner began restorations, and took pictures of the remaining vines. A fire, urban sprawl, and Allied bombings during World War II brought new devastation. The vineyard disappeared. Imazio came to her part in the story as we walked along a gravel path. In 2014, a local historian and wine lover noticed a small plaque outside the home. It said that Leonardo once had a vineyard there. He knocked on the door. The owners confirmed the details, and the historian said, “Really? Nobody knows this story. We have to tell this story.” A project was launched to look for archaeological evidence of the old vineyard, more than 70 years after the last vines had died. Imazio worked with Attilio Scienza of the University of Milan, a renowned scientist who’s published more than 200 papers on grapes and winemaking. He’s a leading supporter of Italian native grape varieties, and tells everyone that they offer a competitive advantage against the popular international ones, such as Chardonnay, Merlot, and Cabernet Sauvignon. The scientists continued excavating, finding all sorts of debris and plant remains. These could have come from any species, so they spent months carefully cleaning the material. Imazio explained what happened after that. “First, we tried to understand if we could find some DNA inside. And we found something, but we didn’t know what DNA it was. I thought, OK, we found DNA, but it’s not grapevine.” A process called whole genome amplification was the next step. “That means you can repair some pieces of the DNA you find,” she said. The results showed remains from the Vitis genus—grapes. Imazio thought “OK, [but] the Vitis genus is full of species.” Another round of genome amplification uncovered a few samples of Vitis vinifera, the domesticated grape, and a DNA database search showed a probable match with Malvasia di Candia Aromatica, a widely planted Italian white grape with a long history. The organizers planted seedlings of Malvasia in 2015. The Leonardo project is just one example of how a new field called archaeobiology is revealing vivid details about history. Plant and food remains and even unbelievably faint residues (one part per million—or billion) on ancient pottery still contain chemical fingerprints of what they once held. Inspired by advances in radiocarbon dating and medical analysis, archaeologists and botanists use mass spectrometry and even nuclear reactors to decipher what people ate and drank thousands of years ago. As Imazio and I walked through the vineyard and garden a group of tourists chattered nearby and the noise of cars and construction wafted in from surrounding streets. She reminded me that Leonardo grew up in the country village of Vinci, which was full of olive groves and vineyards, and thinks he rested in the Milan vineyard after working on The Last Supper. 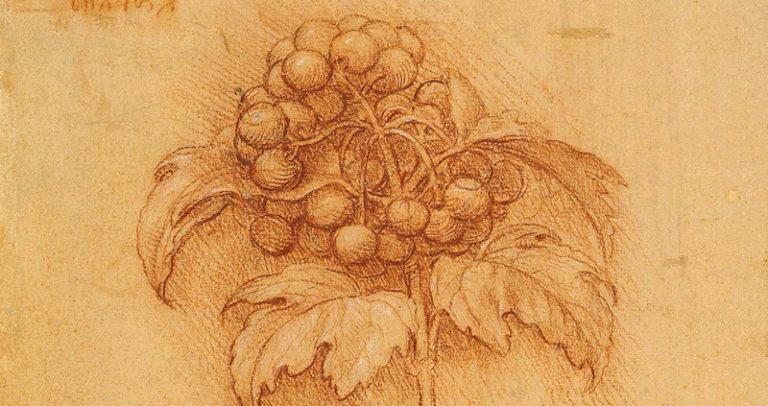 There are frequent references to “vermillion wine” in Leonardo’s notes and receipts. One country fable he wrote in the 1490s mentions “a spider’s web in a vineyard,” and The Last Supper shows small glasses of red wine on the table in front of each disciple. Most evidence shows that winemaking began in or near the Caucasus Mountains at least 8,000 years ago—the Republic of Georgia, Armenia, or eastern Turkey. All those areas are at the headwaters of the Fertile Crescent, where some of the first great civilizations began. In 2013 French researchers compared DNA samples from more than 5,000 wine grapes around the world. The results confirmed that grapevine domestication took place in the Caucasus region, and from there spread in three directions: to the West, North, and even East to Asia. That night in Milan I did some more reading about Leonardo. The Last Supper is one of the most famous paintings in the world, a scene that captures love, fear, betrayal, and forgiveness in the various faces at the table with otherworldly skill. There’s just one thing: Whether you believe Jesus was a real person or a character in profound stories from 2,000 years ago, people in that era didn’t sit at tables. They sat on cushions, Middle Eastern–style. And ancient people of the Levant didn’t drink Merlot or Cabernet aged in barrels. They used grapes with Arabic names such as Jandali or Hamdani, and produced them in clay amphora. 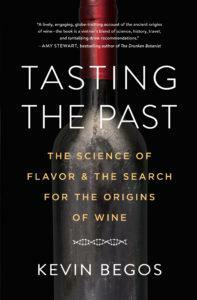 From Tasting the Past: The Science of Flavor and the Search for the Origins of Wine. Used with permission of Algonquin Books. Copyright © 2018 by Kevin Begos.